Novruz celebrations on the Boulevard. 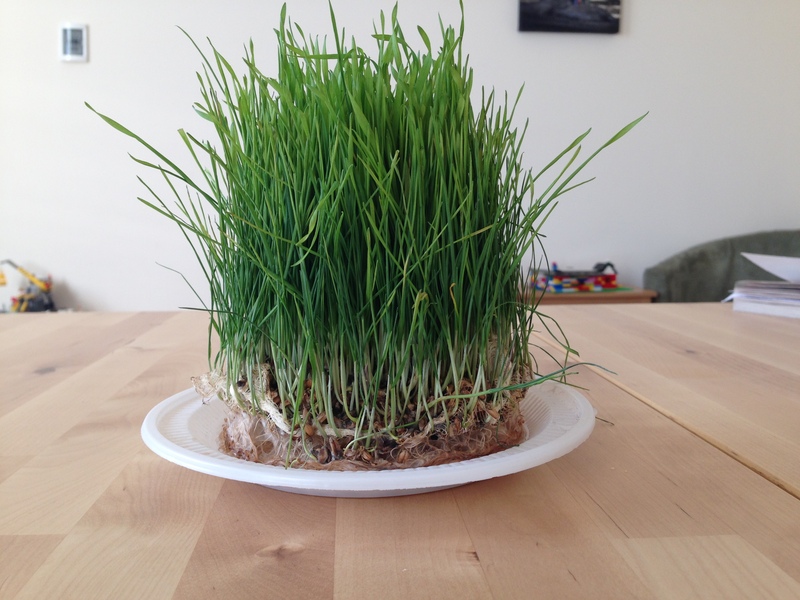 The kids have been studying Novruz at school and have made Khoncha – which is an ornamental plate filled with sweets, pastries nuts and dried fruit arranged in a decorative pattern – and grown a semini. A semini is a grass grown in the small circle on a plate and then finished off with a ribbon, it forms the centre of the celebratory table, normally finished off with a red or Azerbaijani flag ribbon. Today is the day before Novrus begins and we were told there was lots happening down on the Boulevard, there were stalls showing and selling traditional crafts as well as stalls for the different regions and cities around Azerbaijan – we brought some honey from Dashkesan, complete with cone which is very tasty. There were also performances of traditional instruments and singing. Stall displaying traditioanl Azerbaijani goods. Knitted people in traditional dress. Knitted (or crochet I’m never sure) nuts. Crocheted flowered and Novruz hats. Display of wooden stand filled with coloured glass, I want to buy some of these before we go home. The European Games Logo (shape of a pomegranate, with the eternal flame and a sturgeon from the Caspian) in wood and coloured glass – certainly a modern take on a traditional skill. The stalls from the different regions of Azerbaijan, selling food and traditional crafts. Katrine had some BBQ lamb kebab. Katrine in front of a carpet. Gregor took this photo of Katrine, had to include it. And Katrine got a shot of the camera as well. It is so hot here (around 35degrees) that the boulevard is practically deserted during the day. That all changes at dusk when it becomes a place to socialise and hang out with family and friends, it really is a whole family outing with toddlers running around right though to aged grandparents being helped along. There are lots of people scooting around in rollerblades and on bikes, but there is plenty of room so no collisions – at least none that I saw. There is a very friendly, relaxed atmosphere as everyone is there to relax and enjoy themselves. Lights from the other side of the bay reflecting in the water. The Eurovision stadium, all twinkly blue lights. The Flame Towers, just before they were lit up for the evening. It is still warm in the evening, dropping to 28degrees around 10 at night. Floating tap fountain, it is a classic. Dom soviet, Government house, all lit up. All the fountains are illuminated. The full moon certainly helps with the atmosphere. The Flame Towers lights change from flickering fire (as this photo) to the Azeri flag. These floating braziers are at the entrance to the hotel. Azerbaijan – the land of fire. Frustratingly, as soon as I got back to the hotel room a coordinated fountain, lights, music and pyrotechnic display was on which would have been great to watch, we could only catch glimpses from the room.